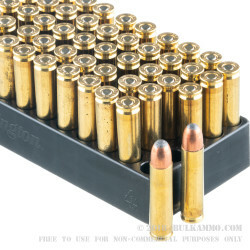 A proven .30 Carbine ammunition that is made for anything that the ballistics of the .30 Carbine can handle. 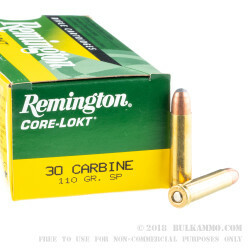 This is a premium loadout of the .30 carbine and the pricing reflects that. For this round, the cartridge excels on virtually every front. From the quality of the build, to the component selection to the ballistics it offers and the proven reliability you can expect from the standards that Remington has set with the Core-Lokt line and in general. 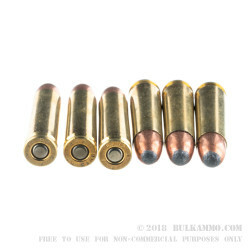 A 110 grain soft point gives adequate feeding and extraction for any firearm chambered in .30 Carbine and the above average velocity ad energy levels make this a go-to round for hunting or nuisance control in a variety of settings. Proven since the Vietnam war for brush gun work on medium game, this round is already an obvious choice for those who know it and love it. With the recent addition of this caliber to some revolvers and other types of guns, the ability to use it in different scenarios grows exponentially. The true story here on this load is however: the soft point and the exceptional quality of the components and quality control standards that exist. It offers a supremely consistent round and a sure ignition, sure extraction and easy reloadability.